As you may already be aware, the Government is encouraging all businesses to become Cyber Essentials certified as part of their IT and data best practice under the new General Data Protection Regulation (GDPR). Cyber Essentials certifies that you have done everything possible to protect your organisation and your data from cyber attack. This is important for your own business security and reassuring for your customers. As an Orchard Facilities Management customer you qualify for our Fully Managed Cyber Essentials Package which provides even the most complex organisations with all the help they need to achieve certification. As your IT partner we already have a deep understanding of your IT and data systems. We can provide the accreditation agency with the detailed technical information they need to approve your Cyber Essentials status. It is possible to go through the process independently but the specific information that needs to be supplied to the accreditation body is significant and the time involved can be onerous, particularly for large companies or businesses with multiple sites. We can handle the entire process on your behalf and ensure your certification process runs smoothly and is completed quickly. As you would expect, we are Cyber Essentials certified ourselves. Cyber Essentials covers the key threats to cyber security including hacking, phishing and hostile attempts to log in to your systems. It has huge benefits for businesses of all sizes, including public and private organisations and charities. 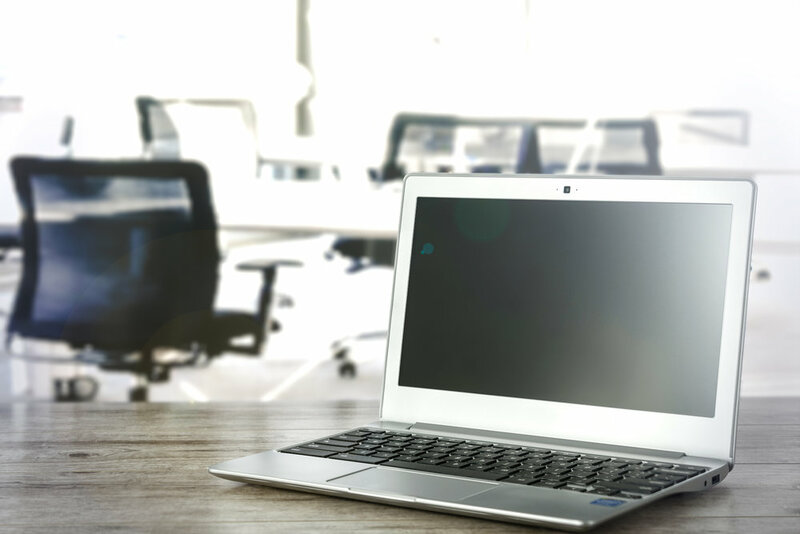 Being part of the scheme will help to protect the confidentiality, integrity and availability of data stored on all devices in your organisation which connect via the internet including desktops and laptops, smartphones and tablets and servers. As well as protecting your own business from the threat of cyber attack, certification reassures your customers that you value their data and take a proactive approach to cyber security. Once certified you will be listed on the Cyber Essentials directory which is public and searchable. Certain organisations will make it a tendering requirement for suppliers to have Cyber Essentials certification in place. Our Fully Managed Cyber Essentials Package means we will take care of the entire process on your behalf, complete all necessary paperwork and take your organisation right through to certification. We will discuss with you the two levels of certification available and help you decide which one is most appropriate for your business. Call our IT team on 0 1422 880 180 to find out more. Due to the popularity of our IT security seminar we have added an extra date! In addition to the seminar on Tuesday 12th September which is almost fully booked we will be repeating the event on Tuesday 31st October. Cyber crime was a problem for businesses long before this year’s ransomware attacks hit the headlines. Thankfully most business owners are now mindful of the need to protect their IT systems and educate their staff about hacking and malware. Around 80% of businesses never recover from a hacking attack or major data loss. Orchard Facilities Management has joined forces with Chadwick Lawrence Solicitors to present a FREE seminar to show you how to protect your IT systems and make sure your business can survive if disaster strikes. We will include advice for you and your employees about being extra vigilant when visiting websites and opening emails, even from people you know. The latest sophisticated attacks have involved email spoofing with links to infected web sites or compromised applications. They have the capability to cripple a business within minutes. Whilst Orchard’s data clients are protected by system backups, the amount of time required to restore lost data and compromised hardware could take weeks. We’ll talk about how to put a disaster recovery plan in place to make sure you don’t lose customers or stop trading as a result. Business IT security has become a top priority following the major cyber attack that recently hit the NHS and organisations around the world. We have put together some practical advice to prevent your business falling victim to this and future threats. What is ransomware and how worried should you be? Ransomware is a type of computer virus or malware that encrypts data across a company’s PCs and servers and won’t unlock them until a ransom is paid. Paying the ransom does not guarantee that your system will be restored and we would urge affected clients to contact us immediately for advice. The scale of the recent WannaCry malware that hit the NHS was unprecedented and experts are warning that more incidents of this size and type could happen in the future, putting businesses and services at significant risk. WannaCry acted differently to other viruses by having the ability to move through a network by itself. Most others are spread by users clicking on attachments from infected emails. Thankfully such threats can be prevented if the right steps are taken to protect your IT systems. Downloading the latest patches and security updates to protect your computer. Making sure your business is not using an out of date and unsupported operating system like Windows XP. Reinforcing the message to staff that email attachments should only be opened if they can be confident of the source. Orchard Facilities Management offers an enhanced anti-virus product which, for a small additional cost per user, can supplement your standard anti-virus software and help to prevent infection from attacks like WannaCry. Normal anti-virus without this advanced function will not protect your systems from these new style threats. As cyber criminals become ever more sophisticated, the reality is that no business can be 100% safe no matter how resilient their IT security. The only way to completely protect your business is to make sure your data is securely backed up and that you have an effective Disaster Recovery Plan in place. Orchard Facilities Management has its own state-of-the-art UK data centre and offers a highly sophisticated data backup and storage service. This means that even if the worst happens we can get you back up and running quickly, minimising the impact to your business. We can also develop a tailored Disaster Recovery Plan for your organisation. For urgent support 24/7 or to enquire about Enhanced Anti-Virus, Data Backup and Distaster Recovery call 01422 880 001 or email info@orchard-fm.com. Halifax accountancy firm Broadbents has become the latest business in the region to sign up to a Yorkshire-based data security and storage service launched earlier this year by Orchard Facilities Management. Broadbents has been part of the Halifax business community since 1988 and partner Simon Brook said client care and privacy had always been a priority. He said changes in the way businesses transmit and store information prompted a review of the firm’s data security and online backup. Orchard Facilities Management currently protects 25 terra bytes of data for business clients and works for companies throughout Yorkshire as well as high profile national organisations including visitor attraction Chatsworth and architect HGP. It moved its data centre to a new state-of-the-art site near Wakefield in May so that stored information could be managed and monitored more closely and accessed quickly. The move coincided with the launch of a new standalone data service for Yorkshire SMEs. Orchard Facilities Management's technical director Neil Ewing said: “Broadbents is an innovative firm that carries out much of its client work online and this prompted a review of data storage and a trial of our new Yorkshire data service to manage around 350GB of data. Mr Ewing added that local businesses had responded positively to the Yorkshire-based data service making it one of the fastest growing areas of Orchard’s business. “Recent headlines about data breaches and the impact these have had on big brands and their customers has prompted businesses of all sizes to re-evaluate online security and we have seen a significant increase in enquiries as a result,” he said. Civil and structural engineering firm ARC Engineers has joined forces with Orchard Facilities Management to boost its data and systems security following recent expansion. ARC moved to larger offices within the City Mills Business centre in Leeds last November to accommodate planned future growth. The firm undertakes the design of construction projects across the UK, with recent work including the development of several care homes, the restoration of 13th Century Mingary Castle in Scotland and a new distribution centre in the south east. Andrew Rimmington, managing director of ARC, said that since the formation of the company, ARC has invested significantly in new software technology to enhance its capabilities and services to clients. He said: “Any design practice such as ours relies heavily on IT platforms for communications and design software, as well as maintaining secure records. At this stage, it was the right time to call in specialist professionals to provide us with the necessary support we required. Orchard Facilities Management will provide managed IT support services as well as security and data backup. 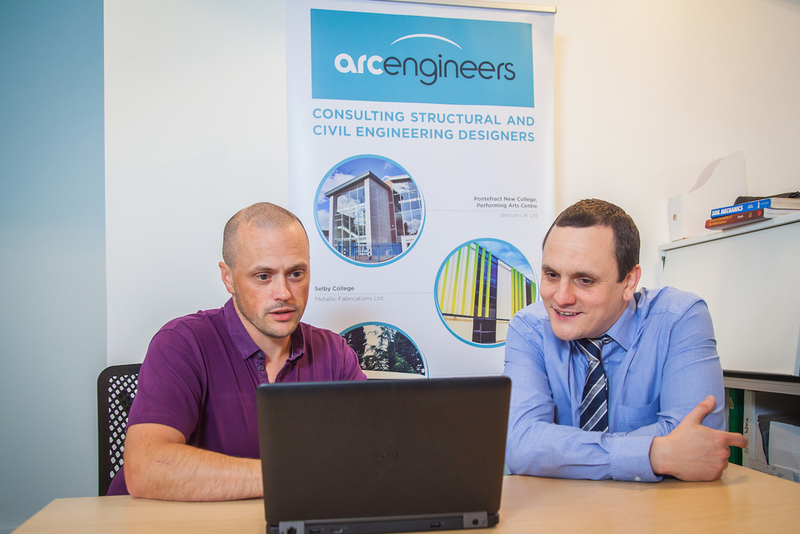 Neil Ewing, technical director of Orchard Facilities Management, said: “We’re delighted to welcome ARC Engineers as one of our latest managed services customers. Don't backup your critical data to portable hard drives or offshore data centres. Keep it right here in our Yorkshire data centre. Powered by enterprise class Attix5 technology, your data is always within reach. ONstore is fully flexible and scalable. We support all major operating systems and major database platforms including Microsoft Exchange and SQL server.